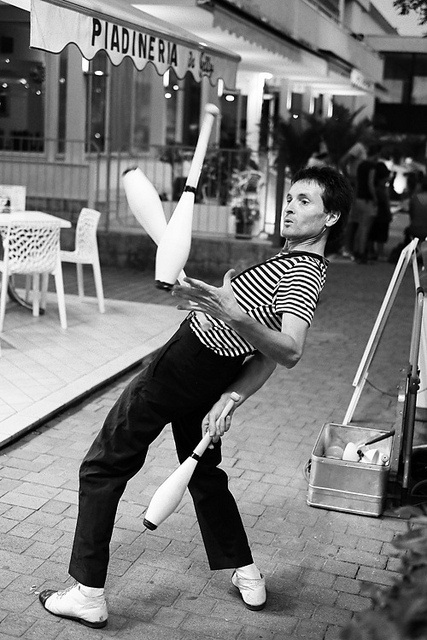 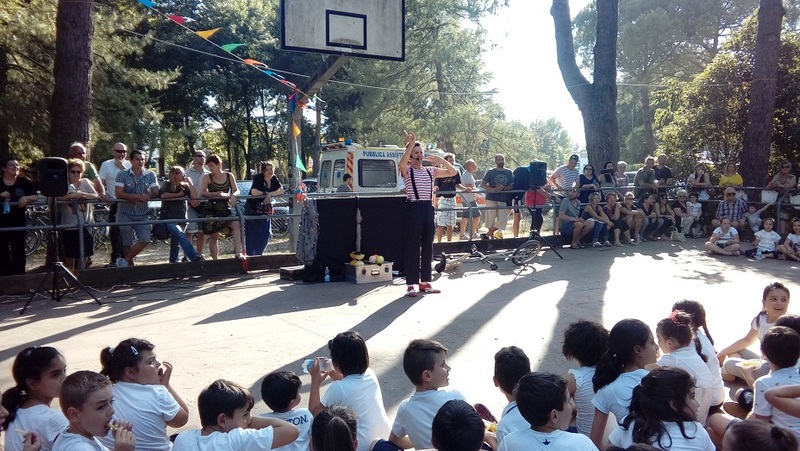 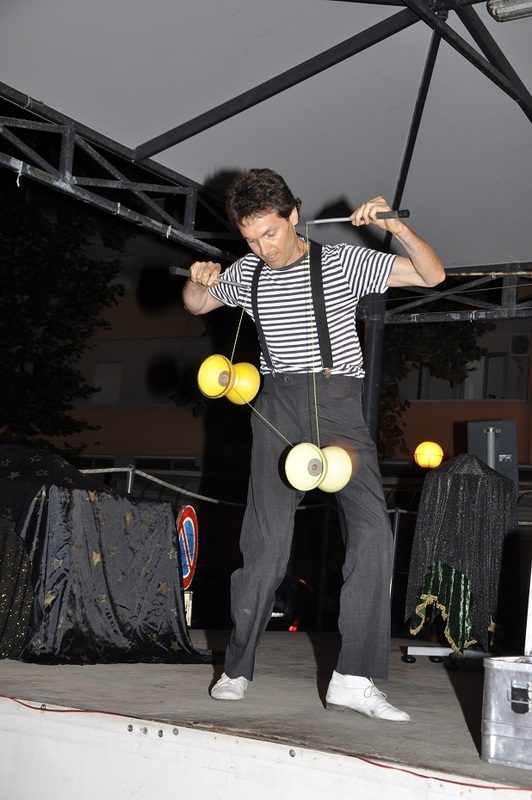 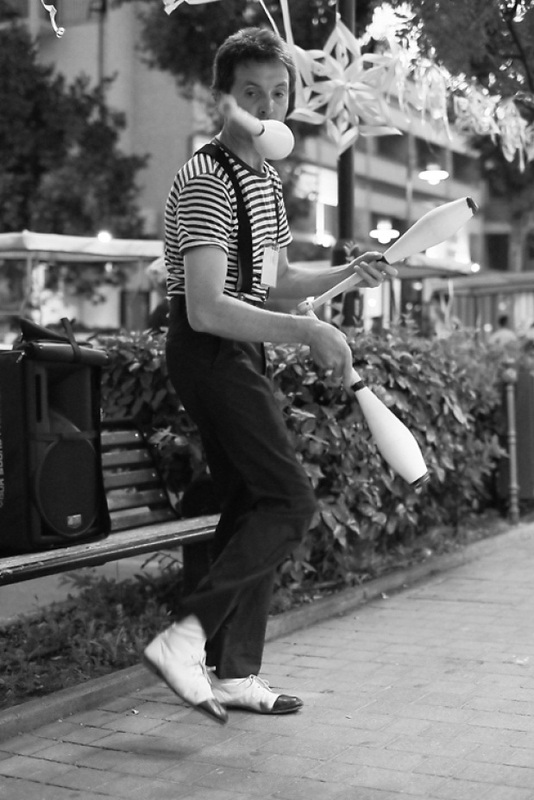 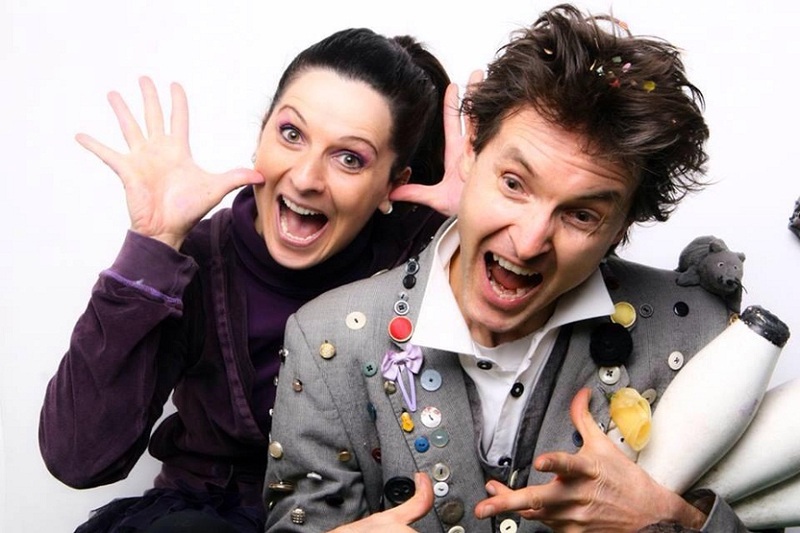 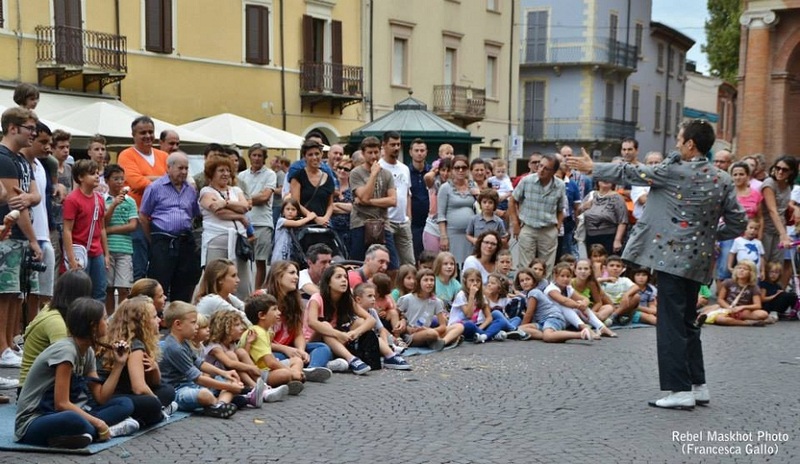 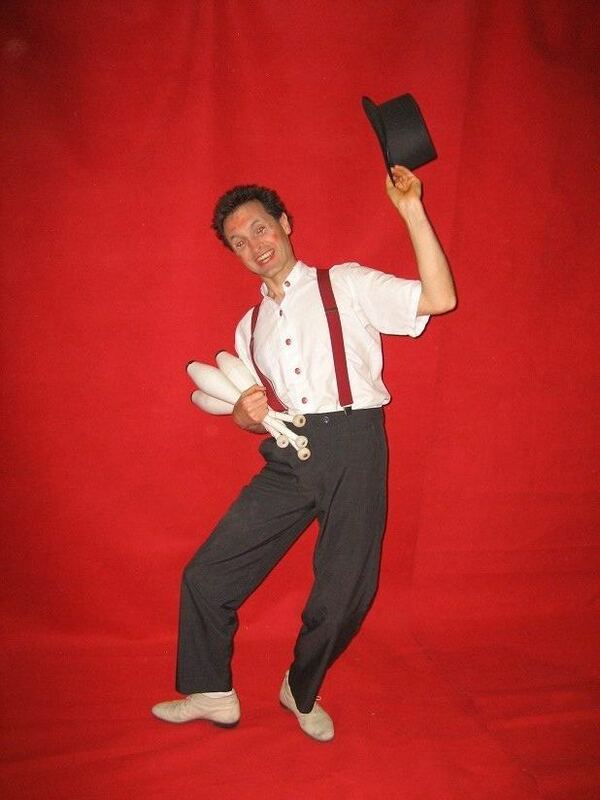 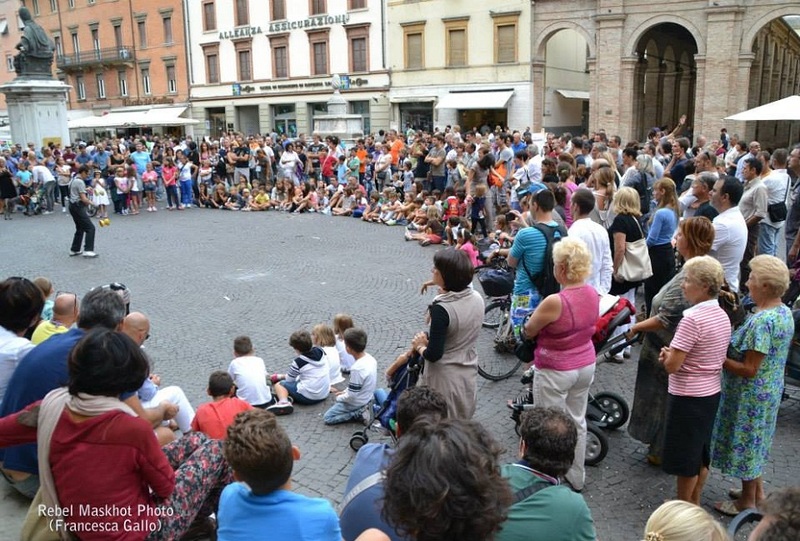 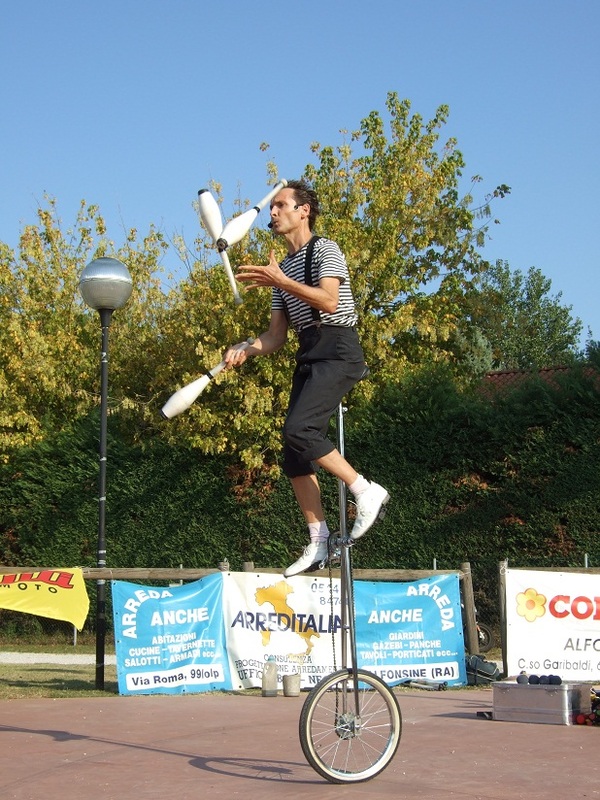 Fabius performs the perfect "Juggling Comedy Act", an entertaining show which consists of a parody and ironic vision of contemporary circus and street theater, with the audience who gets engaged continuously in the comedy sketches. 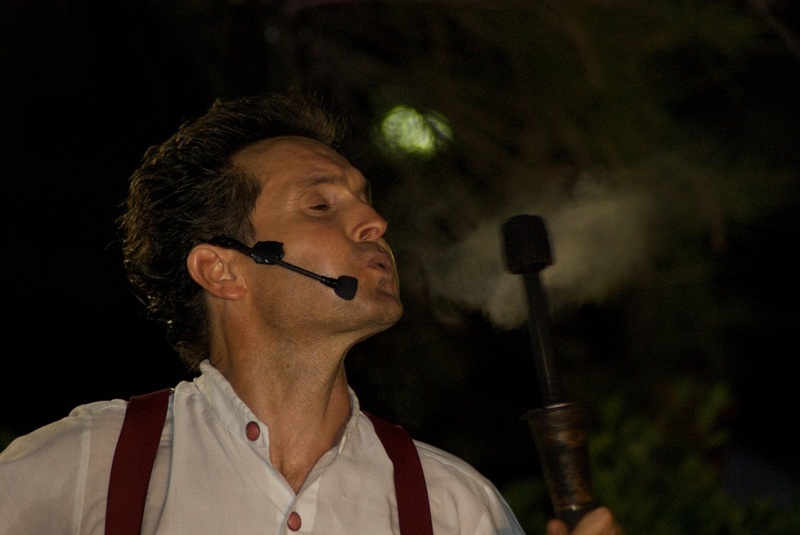 An exhilarating blend of speech and bodily expressiveness. 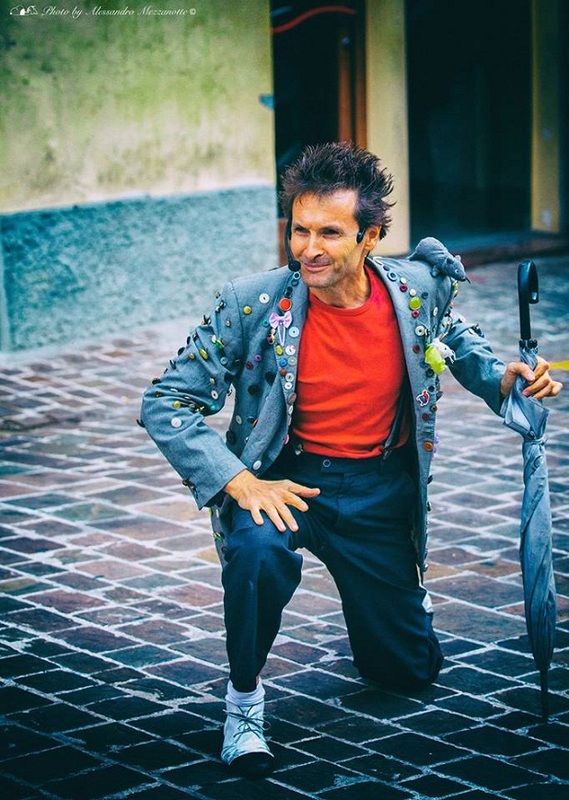 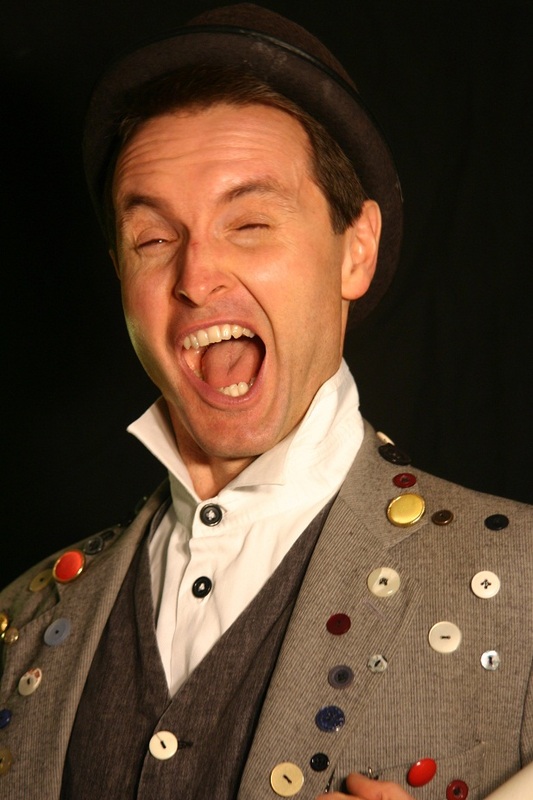 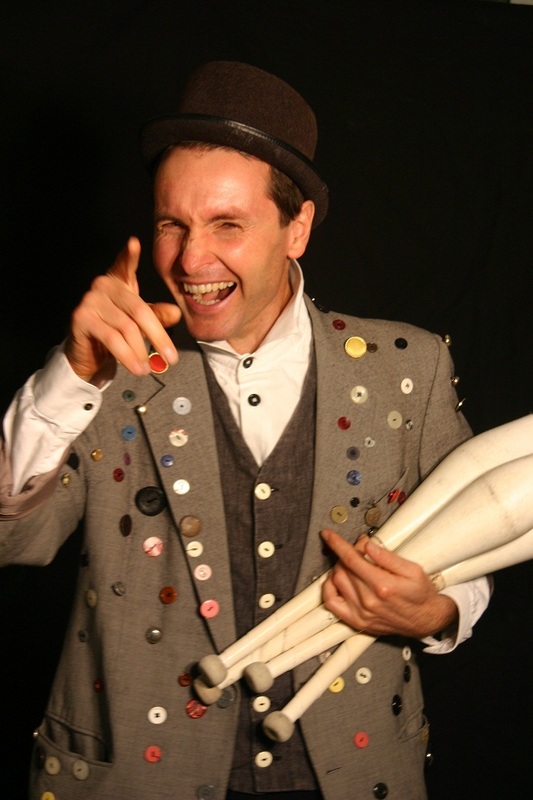 Advanced circus skills and polyhedric character, one-man show and charismatic performer, he enchants with sarcasm and laughters, as well as collegiate storyteller in conducting an intense show with no breaks or slow rhythm. 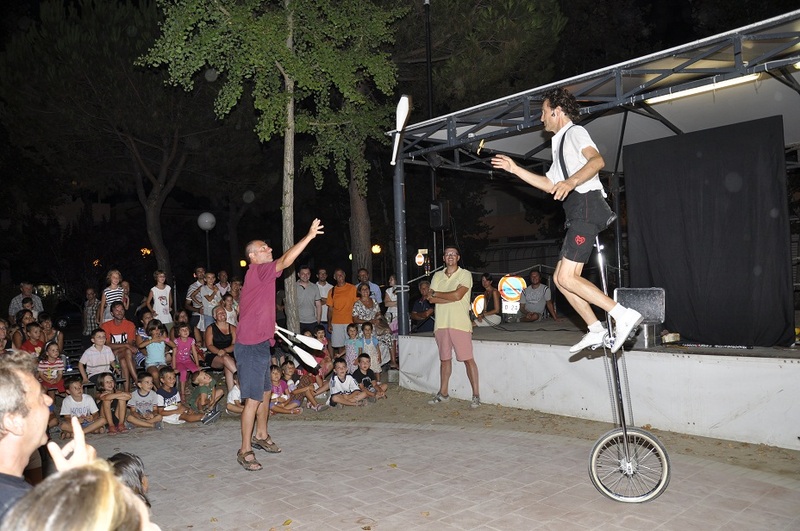 Suitable for all events and any situation of show and animation; street and stage show, plus roaming character. 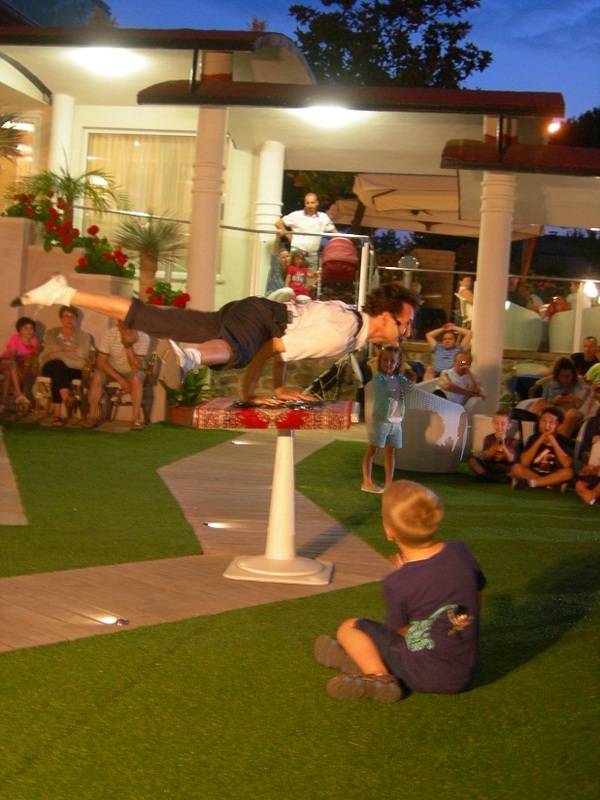 Enjoyable for all ages. 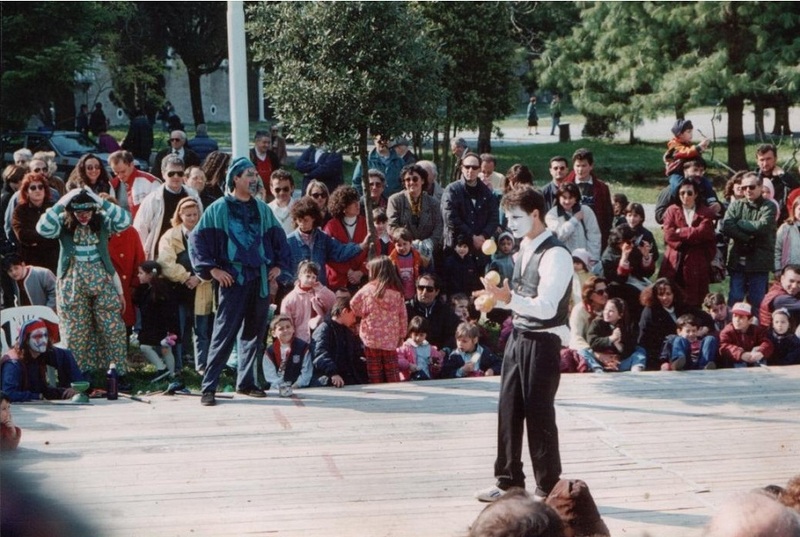 Fabius begins the show with a funny pantomime to attract the audience's attention, then he goes on juggling with diabolos involving the public to obtain applause and spontaneous laughters. 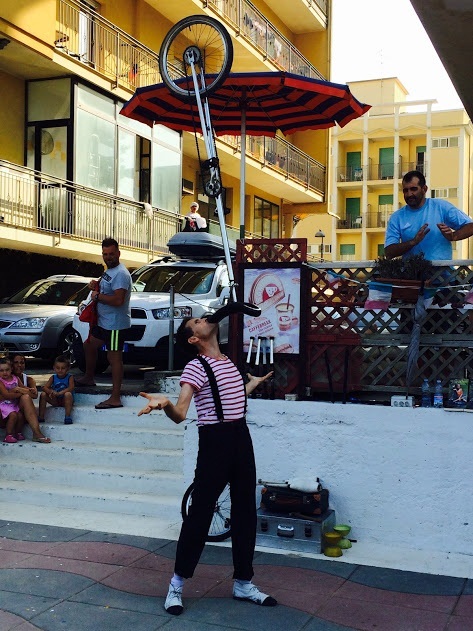 He gets two volunteers for a good fun sketch of clowning and acrobalance who turns to an acrobatic trick with a 2mt. 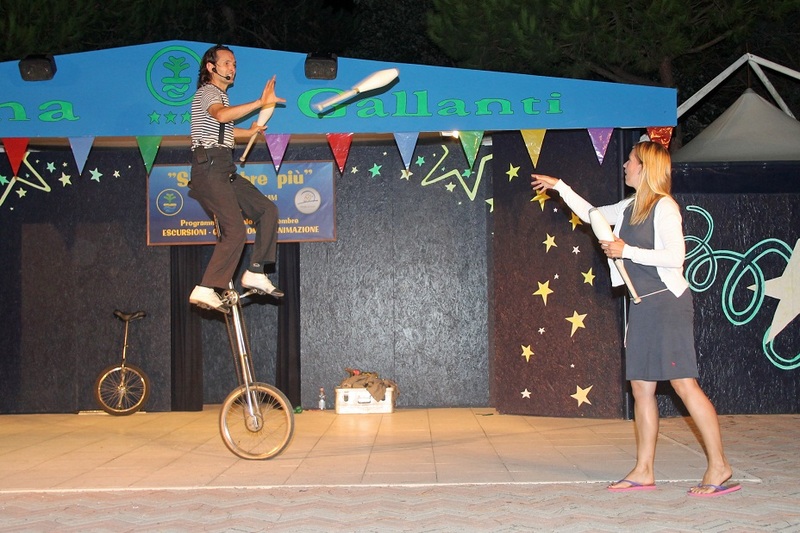 giraffe unicycle. 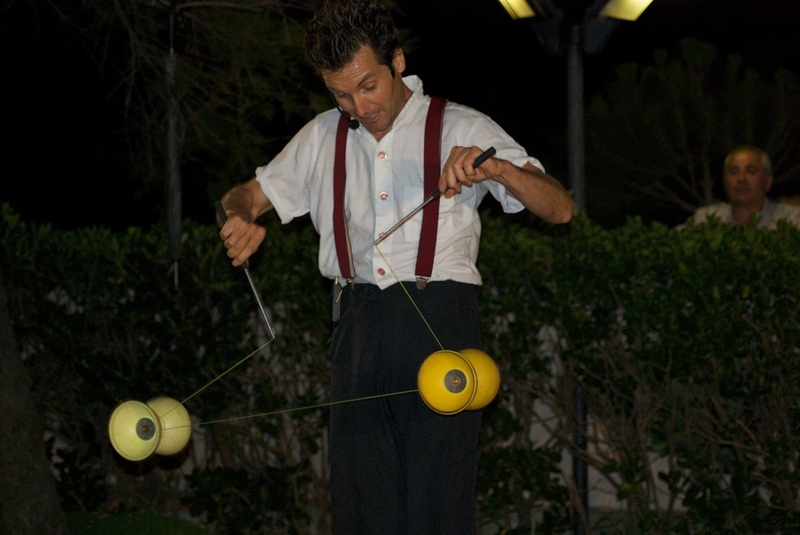 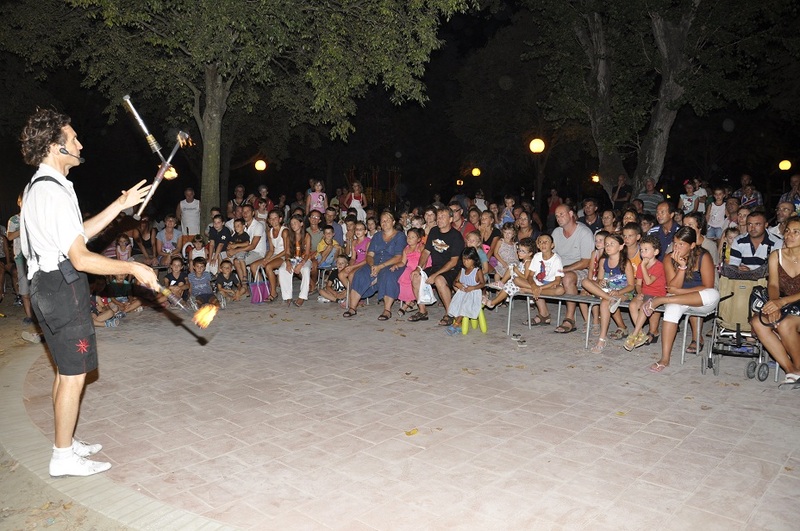 The show ends juggling with 3 and 4 torches simultaneously to a funny comedy act. 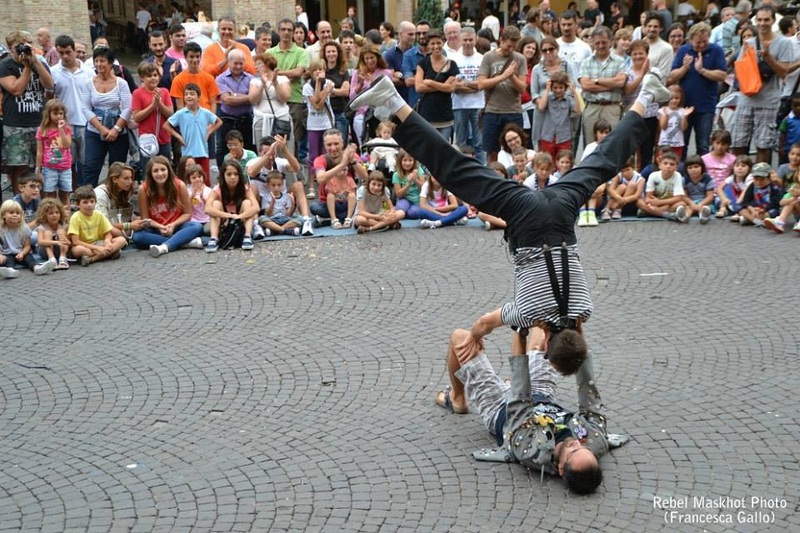 Performances and shows for: all events, street artists festivals, private parties, nightclubs, theme parks, birthdays, shopping centers, theaters, hotels, holiday resorts, campsites, conventions, meetings, business fairs, post-congress , gala dinners, promotional tours, openings, special/corporate events, weddings, night events, photography services, TV commercials, etc ... in addition themed performances like Crazy Waiter for dinners, restaurants, etc ..
equilibrist: unicycle, unicycle giraffe 1.80 mt.